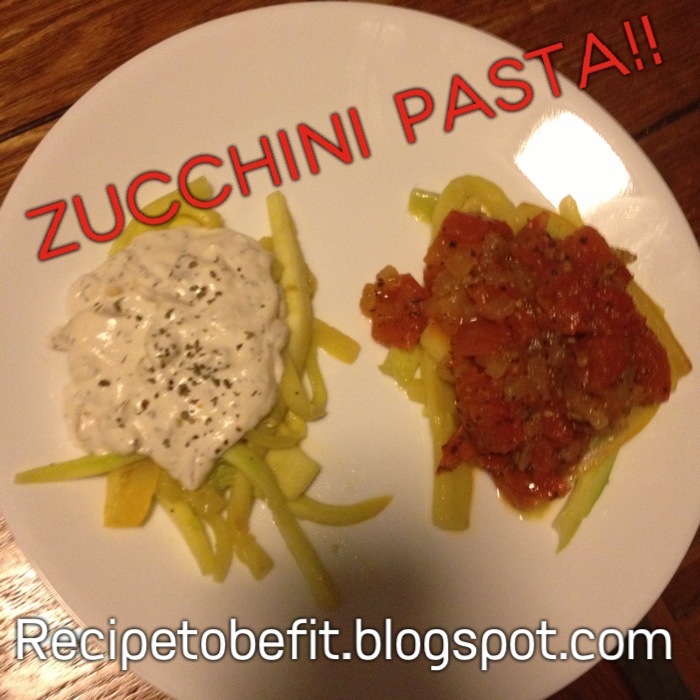 For Pasta: Cut Zucchini into strips as if it were long pasta. Saute for several minutes stove top. Set aside. For Sauce: Saute a diced onion, then about a 1/2 cup fat free cream cheese and about 1/2 cup milk. Reduce. Add spices to taste. Add a tablespoon of Parmesan cheese if desired.